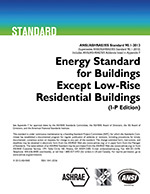 Standard 90.1 has been a benchmark for commercial building energy codes in the United States and a key basis for codes and standards around the world for more than 35 years. 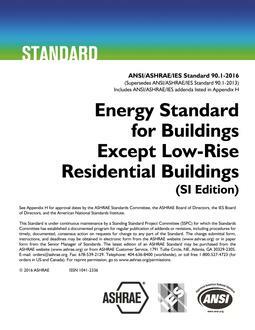 This standard provides the minimum requirements for energy-efficient design of most buildings, except low-rise residential buildings. 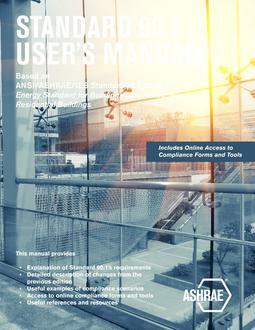 It offers, in detail, the minimum energy-efficient requirements for design and construction of new buildings and their systems, new portions of buildings and their systems, and new systems and equipment in existing buildings, as well as criteria for determining compliance with these requirements. 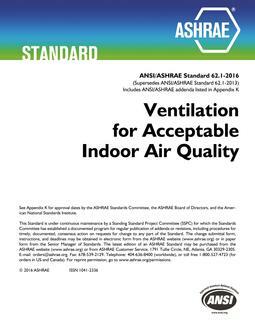 It is an indispensable reference for engineers and other professionals involved in design of buildings and building systems. This 2013 edition has been expanded to include new features and more detailed requirements, as well as incorporating changes from more than 100 addenda.